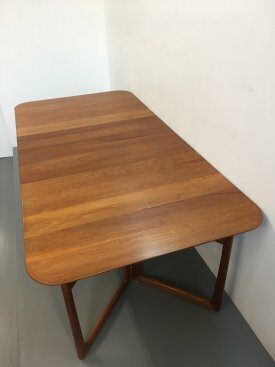 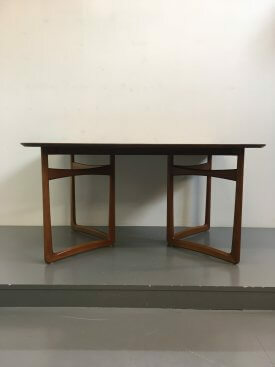 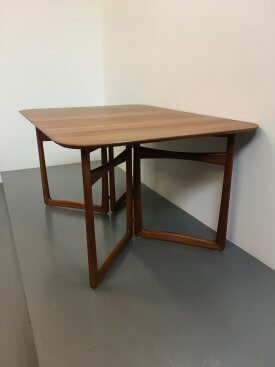 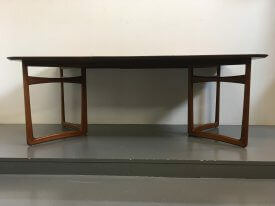 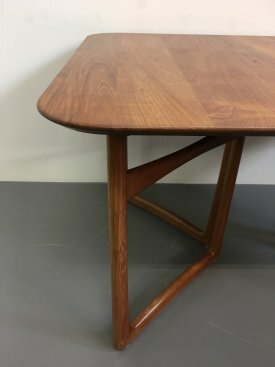 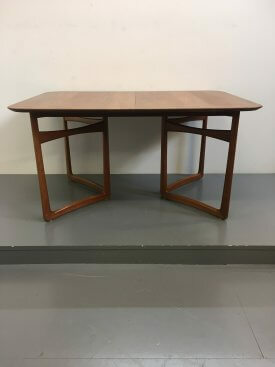 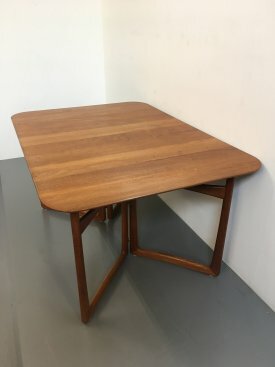 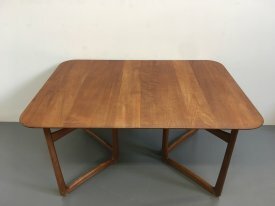 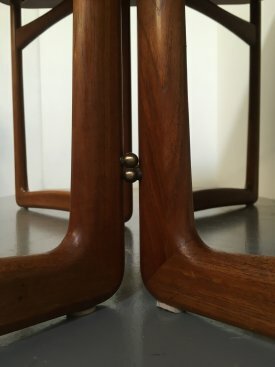 1950’s Peter Hvidt and Orla Møldgaard Nielsen teak extending table for France & Daverkosen, Denmark. 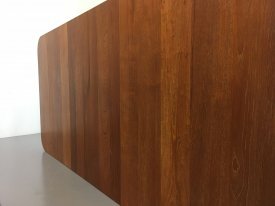 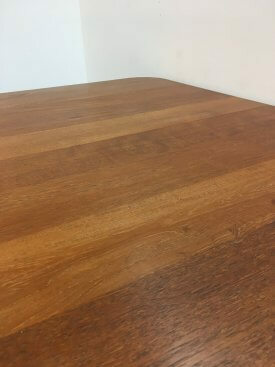 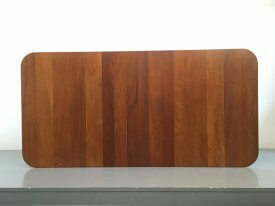 Solid planked top highlighting natural tones and grain with an elegant beveled edge and two slim leaves. 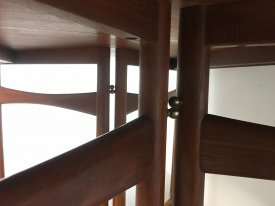 Solid, ‘V’ bracketed frame with signature brass sphere details. 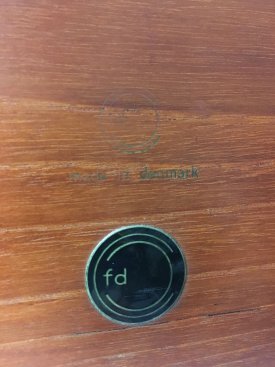 Metal manufacturers badge to underside.